One of the major obstacles with testing iOS apps is the need for iOS devices or Xcode to run the app on a Simulator. Apple doesn’t support running Xcode (an Objective-C and Swift IDE) on any other operating system or hardware rather than macOS on Macs. When it comes to Appium tests, Xcode is also required to build, sign, provision and run a special project that operates as a driver, executing the automation. TestProject framework enhances Appium driver and now enables you to run Appium tests on Windows operating system without the need for macOS. The first thing you have to do is to get a TestProject account, no worries – it’s free! Then you need the TestProject Agent to be installed and running on your computer. You will also require Apple’s iTunes application as it installs the required USB drivers for iOS devices. TestProject makes the driver signing and provisioning procedure easy. 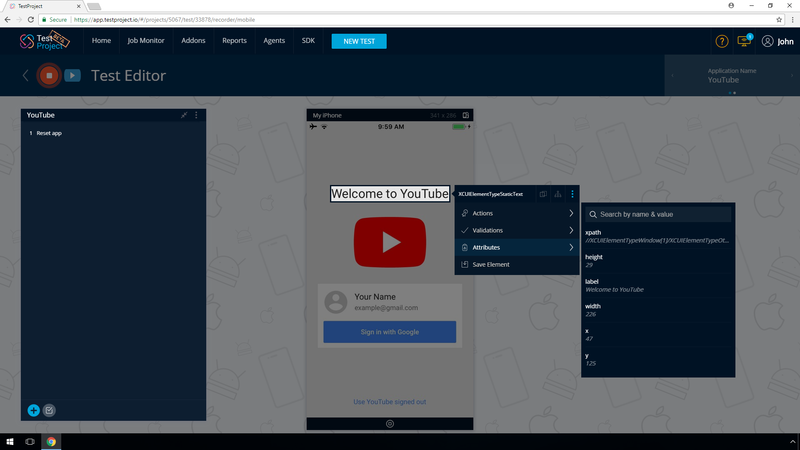 First, download and install TestProject agent, you have to configure your TestProject account with your iOS certificate and provisioning profile. You can do this in the iOS section under account settings in the TestProject application website. 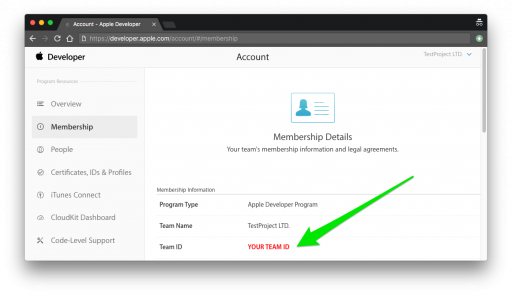 The first thing you need to do is to provide your Apple’s Developer Program Team ID. Team ID is a 10-character string that’s generated by Apple to uniquely identify your team. In order to allow us signing the driver with your certificate, you need to create a Certificate Signing Request (CSR). On the iOS setting page, generate a new one and download a certificate signing request file. Open https://developer.apple.com/account/ios/certificate/create to upload the CSR and download the generated certificate. Upload the certificate to the appropriate section in the iOS setting page on the TestProject application website. The provisioning profile is used by Apple to list the eligible devices where the driver can be installed. 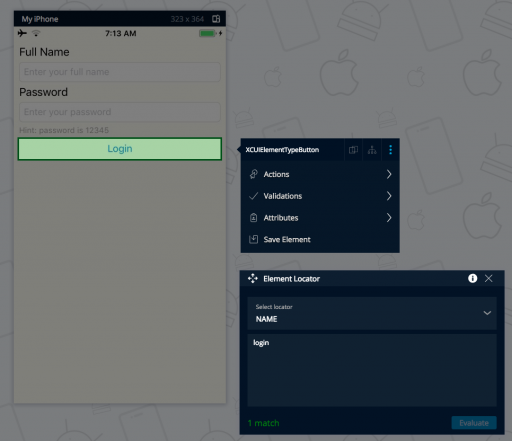 Navigate to https://developer.apple.com/account/ios/profile/limited/create and create an iOS App Development provisioning profile. Continue the wizard and select the XC Wildcard when prompted for App ID. Continue the wizard and select the certificate you have created earlier. Select all devices you would like to allow being used for automated testing. Give this profile a meaningful name. Upload the profile to the appropriate section in the iOS setting page on the TestProject application website. 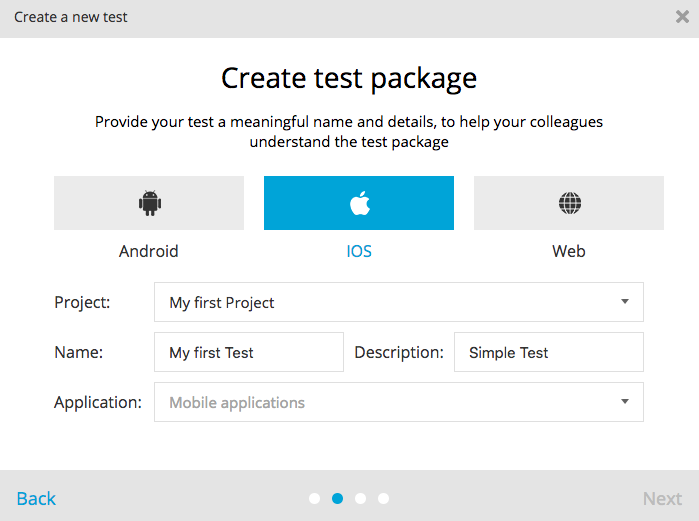 **In both options the tests will be running locally on your device by TestProject agent. Mix of test logic and UI actions are resolved by separation of duties to OOP classes (Login and Profile pages). Coupled design is treated to decoupling objects library from decision taking in tests. Implementing POM makes it easy to maintain the tests having one authority to manage page elements and UI actions. There is no more code redundancy such as duplicate findElement calls and UI manipulations. POM removes an unnecessary complexity by implementing self-explanatory code, thanks to FindBy annotations. Below is the source code of two pages used in the test implementing POM. You can find a full source code including Maven/Gradle files and more examples on TestProject GitHub. Compile and upload the JAR to TestProject account.